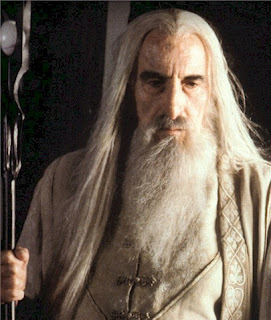 Saruman the White was one of the Istari, and the greatest of their Order. He possessed much power over the minds of Men, and was knowledgeable in the lore of the Elven-rings of power. He became head of the White Council in TA 2463. It was his drive for power which led him to settle in Isengard, where one of the seeing-stones was kept; and it was also the reason for his urging the White Council not to drive the Necromancer out of Dol Guldur, as he believed that the One Ring would reveal itself in searching for its master. In 2953, Saruman fortified Isengard, gathering Orcs and Dunlendings, whom he enlisted to harass his neighbours in Rohan and Fangorn. Initially, Saruman had been a true friend of Rohan, but as his desire for power (chiefly the One Ring) grew, so did the hostilities between them. Additionally, Saruman kept agents in Bree and the Shire in order to spy on Gandalf. In 3000, he was ensnared by Sauron after using the Palantír of Orthanc. His pride grew even faster than his power, and by the time of the War of the Ring, he had begun calling himself Saruman the Many-Coloured. By 3010, he had taken hold of King Théoden of Rohan, causing him to deteriorate (though he was revived by Gandalf by 3019). After unleashing a band of Orcs against the Fellowship of the Ring, Saruman set into motion several events which would ultimately bring about his own demise: the Hobbits Merry and Pippin were captured, and later escaped into Fangorn, where they aroused the anger of the Ents, who then led an attack against Isengard. While imprisoned in his own fortress, he was cast out of the Order by Gandalf. Upon his release from Isengard, he went with his faithful servant, Gríma Wormtongue, to the Shire, where he was cast out by Frodo Baggins, and later slain by Gríma. 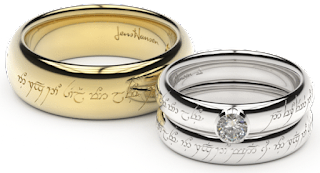 The Hobbit: Bigger Than The Lord of the Rings?